To prevent any delays incorporating your company and having your application rejected, we will check to ensure that there is no information missing. Your online account is linked to Companies House, so you can update your company details, add directors, change company name, etc. 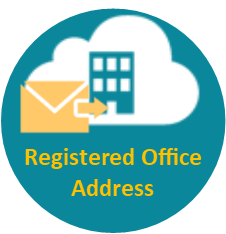 Address for your customers, clients, suppliers and banks. Complete UK based (London EC1) company. Mail forwaded via post or scanned and emailed. Is it difficult to set up a new Company? You may think that setting up a company formation, involves lots of paperwork and is complicated with lots of jargon, but with our easy to use online application, in 5 easy steps your company can be set up in minutes in the comfort of your own home. 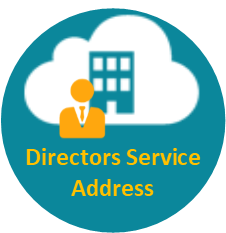 We do require you to provide a scan of your identification and proof of address of directors/shareholders, during the sign up, so just make sure you have this ready before you start. For more details of the identification requirements. The price you see, is the price you pay. We ensure that our prices are clear so you know exactly what you are getting and for how much. All company formation incorporation packages include the Companies House registration fee, so no additional fees to pay. We have written our application, website and emails in clear, plain and simple to read English (no complicated jargon – without an explanation). There are no catches or hidden fees as we aim to be upfront so you can make informed decisions. Once you complete our online company formation application form, it is checked to ensure that all the information is present (which reduces the chance of rejection), it is then submitted to Companies House. Our aim is to incorporate companies within 24 hours, but this is dependent on the Companies House workload. Once the company is incorporated you will be notified by email with all your documents. You can choose the same day service if it is urgent, this must be done before 3pm (UK time) . Once you have received your certificate of incorporation, which contains your company registration number you are free to start trading. During the company formation application, we link to Companies House to check company name availability and speed up the submission. The final application is submitted directly to Companies House. Our website is 256 bit encrypted with SSL, we ensure our clients payment, and company and personal information is protected at the highest level. We are registered with the ICO to ensure that we protect all your personal details. 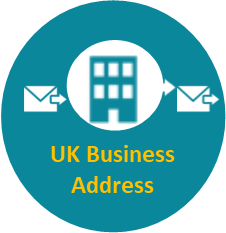 As you think about setting up your business, you then start to consider what address should you use for your business, what telephone number should you give out, designing websites, creating email, purchasing domain names, etc..
We can assist you with many of these, we can provide a business address, mailing address, local and national telephone numbers and even answer your phone when you are busy!! !